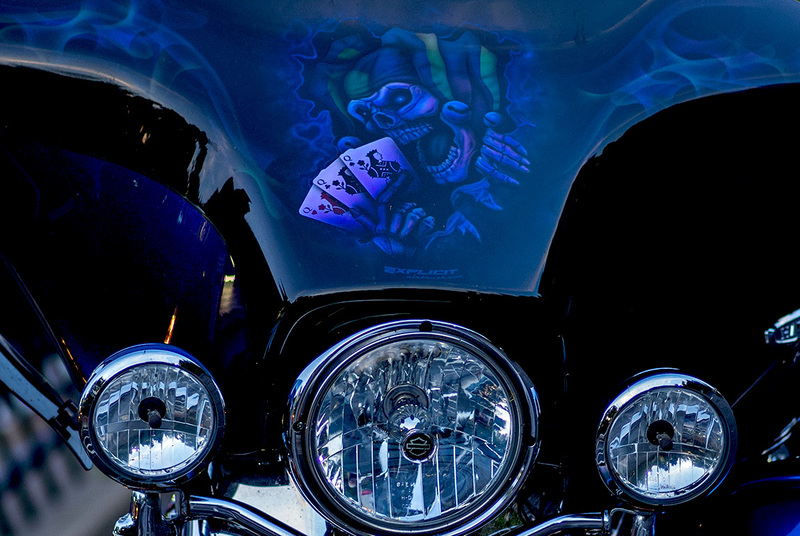 Frank Brault | all galleries >> Galleries >> Americana > An artful Harley. Wow! That's really cool! V.
Cool find with this paint job. Well photographed with this crop. "V"
An ever beautiful Harley in deep blue! V.
Quite a paint job Frank.A sparkling image.